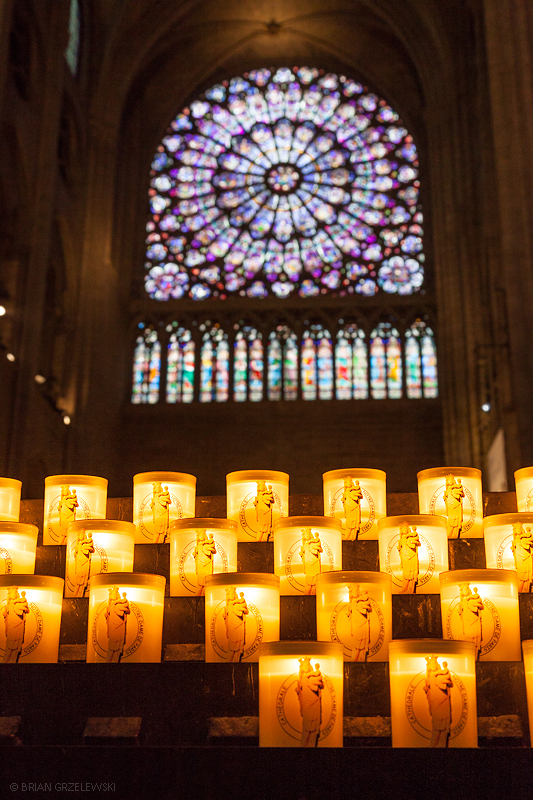 The sun lights up the stained glass windows as candles burn in Notre Dame, Paris. Ahh. 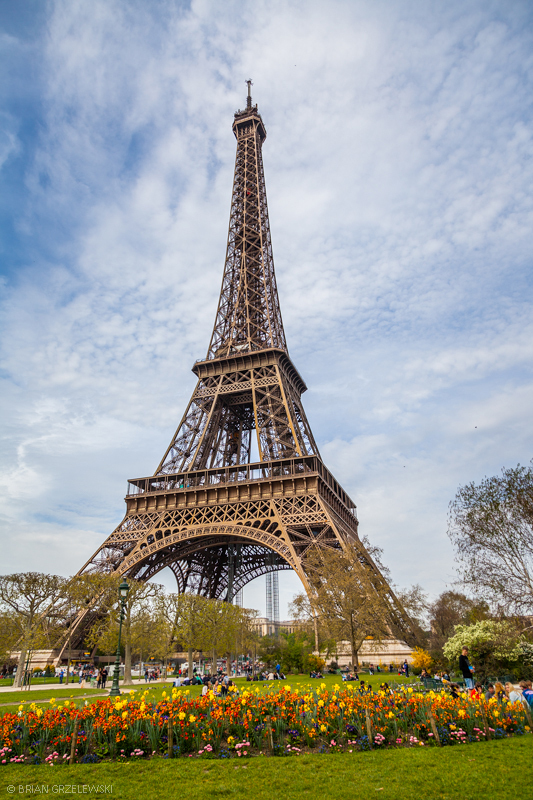 What could be more iconic than flowers around the Eiffel Tower – Springtime in Paris. What a joyful time.